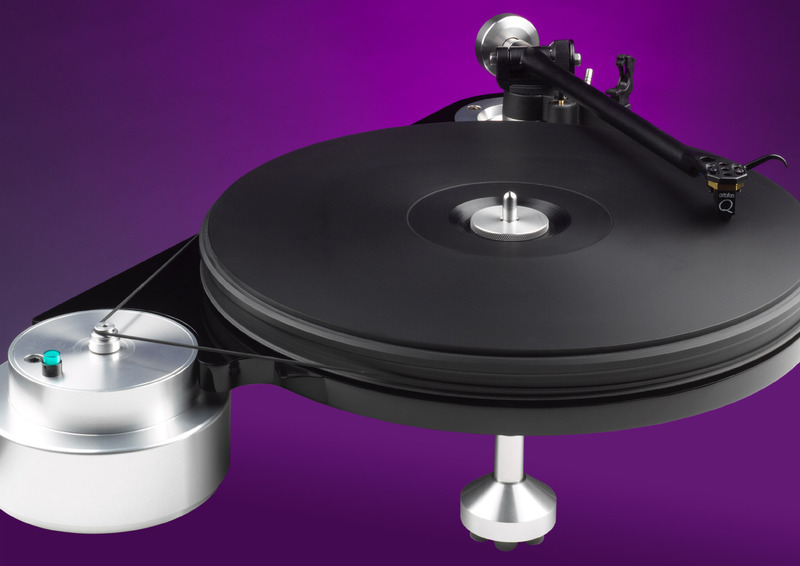 We have been building quality audio turntables for over 35 years now, which makes us one of the oldest manufacturers still in business. 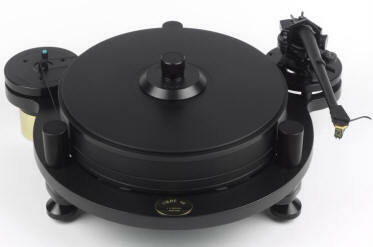 The GyroDec turntable has been around for over 25 years, and even its first incarnation can still be upgraded to the latest status. 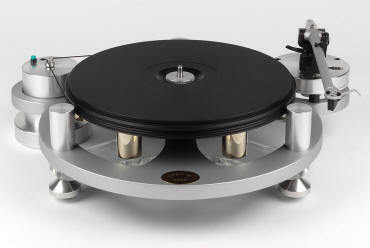 Michell turntables are precision instruments, built to last, and to reproduce sound as close as possible to the mastertape. Making a turntable...The task of a turntable seems to be simple. At audio frequencies, the arm should be kept locked above the groove, without any extraneous motion relative to the cartridge. And the groove should be dragged at a constant angular speed underneath the stylus. 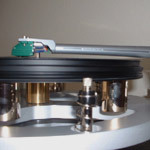 This means that over the whole frequency band of 10Hz up to 20kHz and beyond, the whole loop made by record, platter, bearing, (sub)chassis, arm board, tone arm, and cartridge body should behave in an utterly rigid and non-resonant fashion. 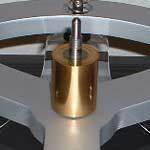 Any flexure of the same dimensions as the microscopic undulations in the groove detracts from sonic fidelity. 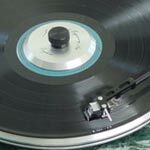 At lower-than-audio frequencies, the arm should be made able to freely follow the groove's warps and excentricities, so as not to damage LP or cartridge, and this without inducing any spurious signals into the cartridge's generator. 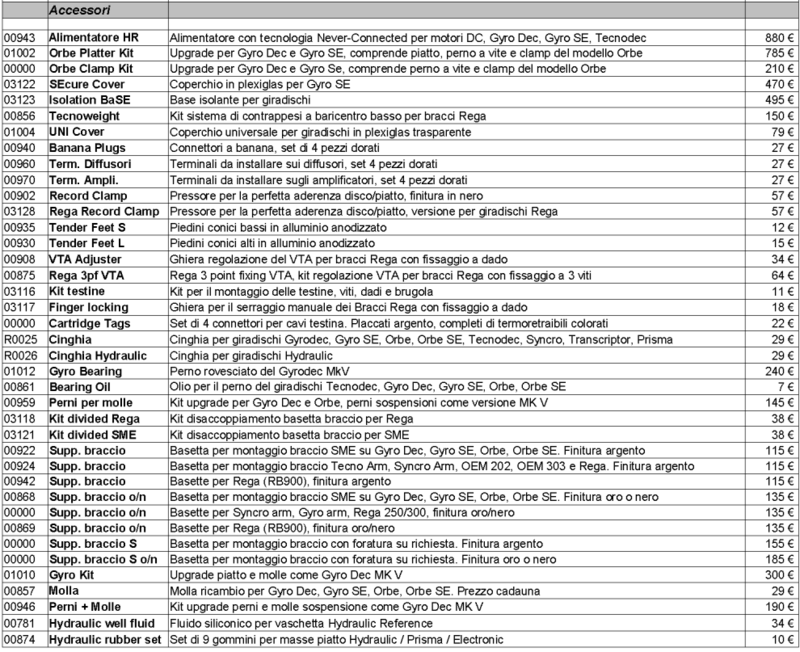 Only when these demands are fulfilled can the stylus trace the actual information embedded in the record's groove walls. A simple task, you said? The platter should be supported so that it can revolve smoothly, without any extraneous vibrations and motion. This is the job for the main bearing, the very heart of a turntable. The LP/cartridge/arm trio is to reside on its own 'island'. The suspension decouples them from the outside world with its motor noise, footfall, acoustic vibrations, and other potential disturbances. 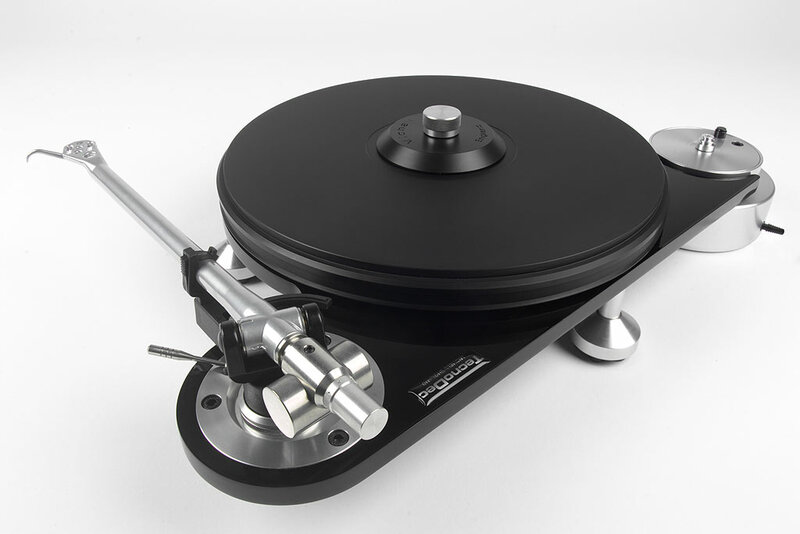 All of our turntables, except the TecnoDec, suspend the heavy subchassis and platter from three extension springs. This is an elegant and self-stabilising solution as the center of gravity of the floating mass is conveniently put below the suspension points. 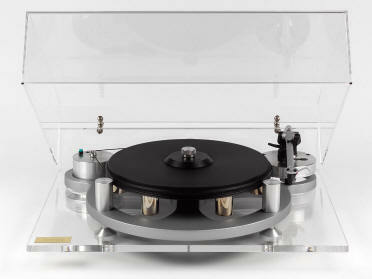 Rocking and nodding modes of the subchassis are hence discouraged, while overall turntable setup is straightforward, and drift is virtually inexistent. In addition, the total suspended mass of about eleven kilograms ensures that any incoupled energy can not result in large displacements. 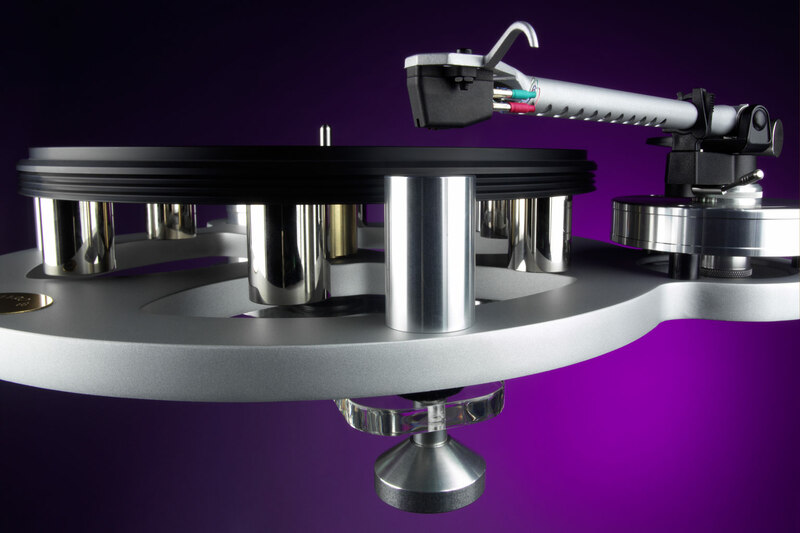 The spring towers double as the actual turntable supports, terminated in heavy aluminium cones. 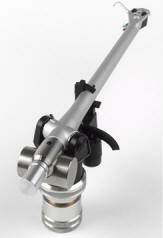 The towers are sectioned in two vertical parts, making a high-pressure point-contact with a bearing ball. This makes for a true three point support, which gives the springs and the suspended subchassis a firm reference to ground. The floating chassis' task is to keep the bearing and arm board rigidly in relation to each other. It is a heavy and rigid cast aluminium component, internally strengthened with beams and ribs. The Orbe and Orbe SE benefit from an additional layer of DensoDamp mastic which results in an acoustically inert subchassis with excellent self-damping properties. Offering a wide range of custom-made arm boards, we can keep the mass, and the mass-distribution, of the subchassis, platter, and arm a known constant. 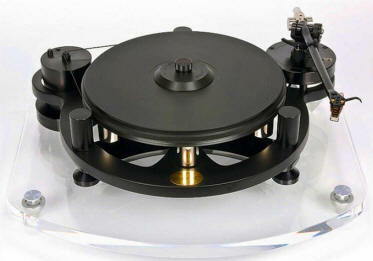 This translates into a suspended chassis turntable that works optimally with almost any existing tone arm. 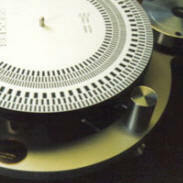 Off-the-shelf boards can be delivered for the following tone arms: Michell, Rega, SME (both types), Graham, Wilson-benesch, Morch, Origin-Live, and Linn. Others can be made to order. 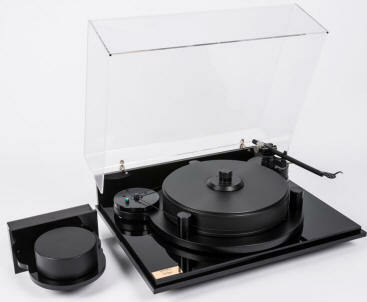 The most obvious task of a turntable is to keep the record at a constant and precise angular speed, without low-rate drift, without audible wow, and without high-frequency noise components which detract from the music's delicacy. 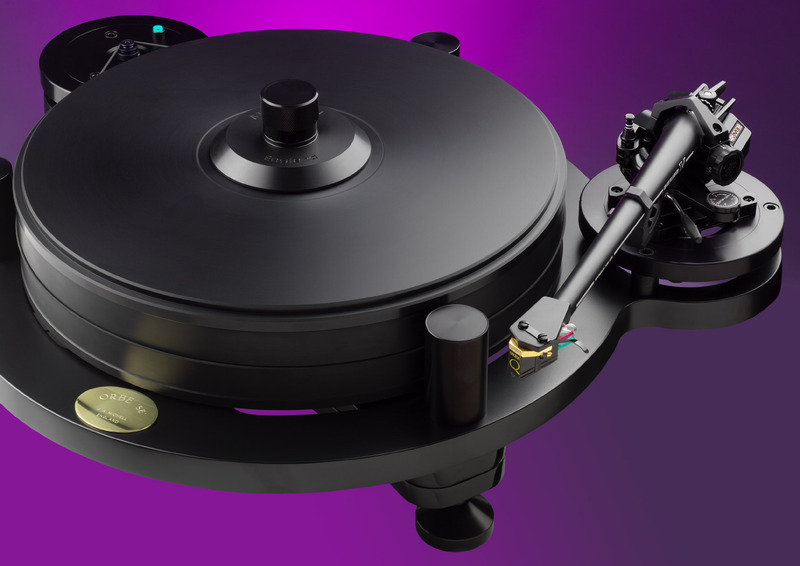 The 3.5 kg heavy platter, precision balanced, acts as a large flywheel. The Orbe's platter is made of three GyroDec platters bonded together to form one massive slab of acrylic. 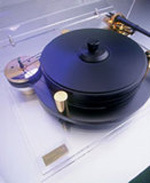 The GyroDec and Gyro SE employ a single-thickness acrylic platter, loaded with the gold-plated brass weights which over time have become Michell's signature. Once up to speed, and aided by the low-friction bearing, the platter only wants to maintain its motion, and not much extra input from the motor is needed. This motor is a very precise, reliable, and low-noise DC motor that has been selected only after extensive listening sessions and reliability tests. The Orbe models use a version of the same motor with a tacho speed control loop back to the supply. 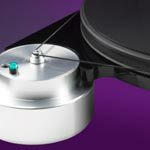 With all turntables the motor is a stand-alone unit, housed in a heavy base of metal (almost 3kg for the Orbe), to elimate vibrational breakthrough to the turntable. The HR and Orbe Controller NC supplies effectively isolate the motor from the potentially poluted mains network. Drive is relayed to the platter via a precision-ground soft round-section neoprene belt, which runs around the platter's circumference. This results in a very high reduction of noise transfer from the motor.